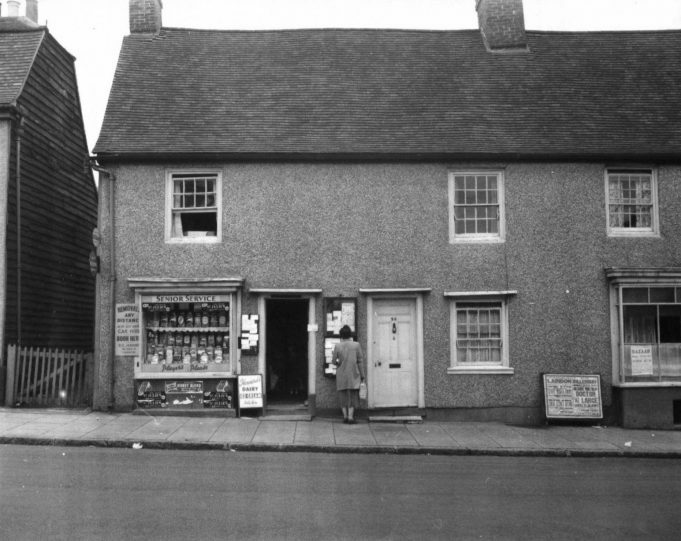 These three cottages were originally built in the 17th century and were weatherboarded timber frame buildings. In the photograph it is clear that the buildings had been rendered and pebbledashed. Note the poster for Laindon Cinema and Billericay Cinema, Billericay is showing Doctor at Large which was released in 1957. Thus we can date this photo. 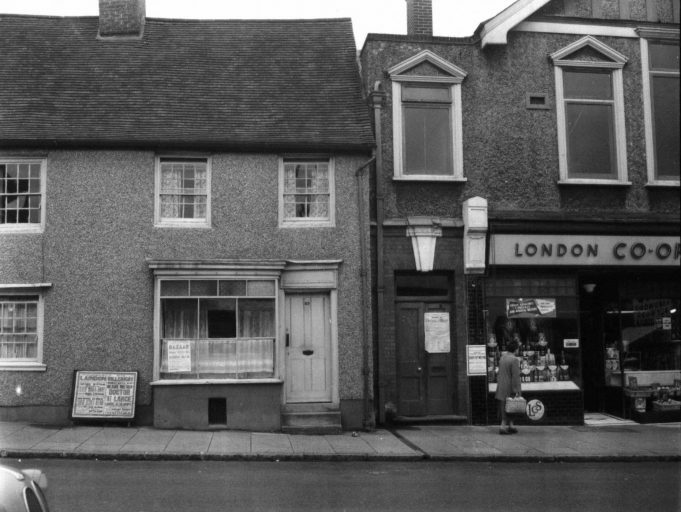 Matthews sweet shop, which sold 1p, 2p and 3p drinks depending on the size of the glass.